Charming Spanish Revival Casa c. 1930, located in Famous Frog Town, designed by Kai Cross. This 3bd 2ba fully remodeled home exhibits charm and character throughout with no detail too small. Upon entry, you will be greeted with an intimate living room that boasts barrel-vaulted ceilings, rustic industrial lighting, and an original brick fireplace. 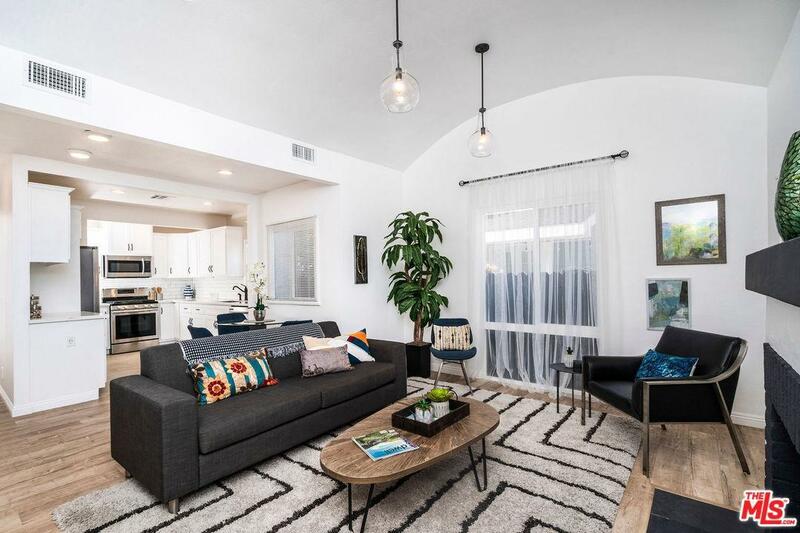 The open living and dining area lead into a completely remodeled kitchen with "marble" quartz countertops, shaker style cabinets, subway tile backsplash, and stainless steel appliances. Step down into the newly constructed Ensuite Master Bedroom featuring 12ft high ceilings, a spacious walk-in closet, and a sliding door that leads out into the large private back yard and detached oversized garage/bonus room that provides endless options for relaxing and entertaining. Exterior details enhanced with water-wise landscaping, 6 fruit trees, a long private driveway, and gated front yard filled with lush plants. Brand new HVAC System with NEST.